As I walked up to this piece of stonework on the heath, I mistakenly thought that it could be a sundial. When I was close enough, I realised that what I had believed to be the gnomon of the sundial (yes I did have to look that word up), was actually a plastic straw from a MacDonald’s takeaway stuffed into the top of a water fountain… Which was a disappointment. “The fear of the lord is a fountain of life”. March 1885. R.M.A. Which seems to be a quote from this book. 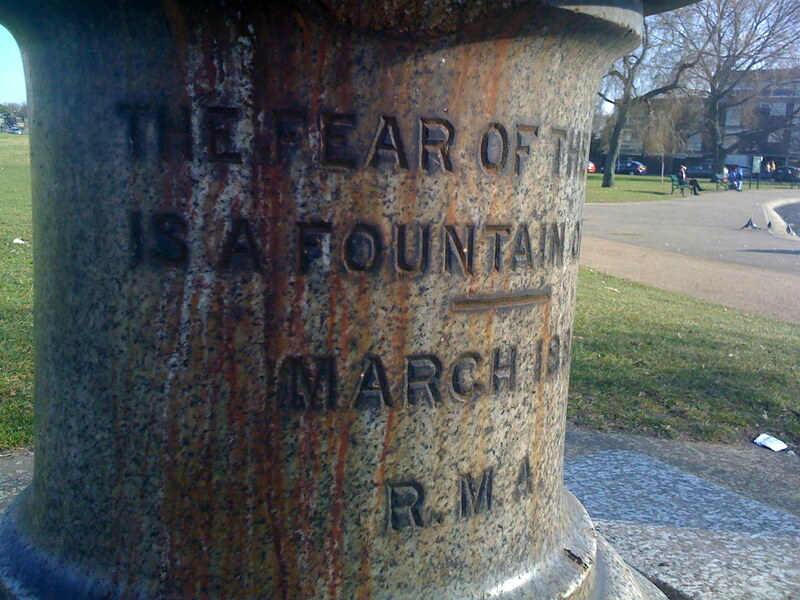 So, not only did the water fountain not work, not only could it not tell the time from the position of the sun, but it was also recommending to all of Blackheath that the best way to live your life was in fear. Loving relationships do not tend to involve one party fearing the other. I know that the Victorian Era was big on municipal projects and pious statements, and that clean water was something that not everyone could take for granted, as they can at the moment, but this does seem a rather depressing little monument to have next to the boating pond. I wonder what the modern equivalent should be to the municipal waterfountain? Some free wifi perhaps? More park benches? If you know any benevolent philanthropists, perhaps you could come up with some suggestions, and let me know! Also – R.M.A. – any ideas? Royal Military Academy? Mrs Bugle’s credit friendly, handy tip sheet detailing what to buy where, but with scribbled handwriting replaced! (Seasonal mileage may vary). Video posted by Henry, earlier today.. My video finally finished uploading to Vimeo, but took ages due to the piece of damp string we use as an internet connection. 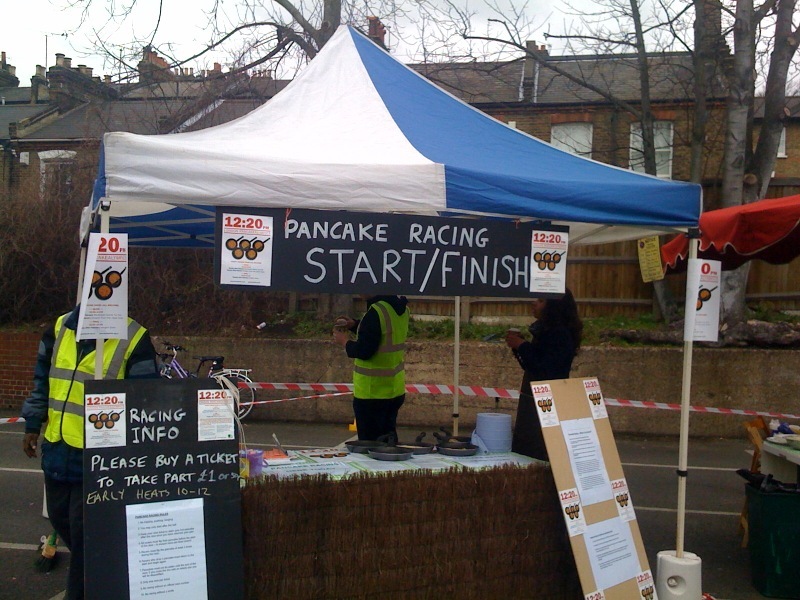 Don’t forget the pancake race! The weather is a bit grey, but there seem to be loads of people at the Farmers Market, and lots of pancakes to be both eaten and raced! It starts at 12:20, and they can supply the frying pans… (Although I heard a vicious rumour at the bread shop that they were giving out extra-heavy frying pans to the girls). 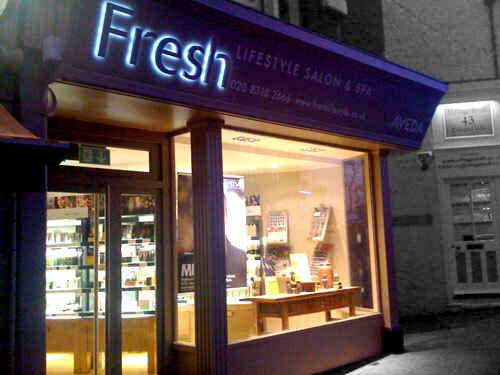 This new spa shop has just opened up next to Costa Coffee… Not sure how long the economy can sustain another expensive looking hair salon, but it looked very nicely designed. Still a shame about the Bang & Olufsen shop though. Sound recording taken from my window yesterday morning… Spring is definitely on the way. Recorded using Griffin iTalk – highly recommended if you have a Trouser Mac. As John asked in the previous squirrelly post about wifi, I thought we should have a specific post about it here. (The squirrels aren’t that interested in wifi). 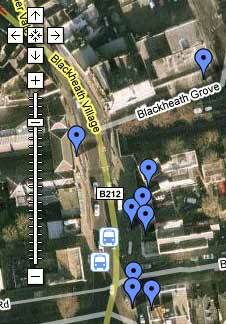 The only free wifi in Blackheath that I’ve managed to find has been in the Blackheath Royal Standard Pub. It was encrypted though, so you’d have to go and ask the staff for the password… However, I have wandered around Blackheath before and spotted various unencrypted wifi points, but never actually accessed them. (Although, just because they’re not encrypted, doesn’t mean that they will work). I’ve never understood why the some of the many coffee shops in Blackheath don’t offer it. I would have thought that it would differentiate them from their many competitors, but maybe they don’t want the laptop users eking out a single cup of coffee out all morning solely to soak up the wifi beams. 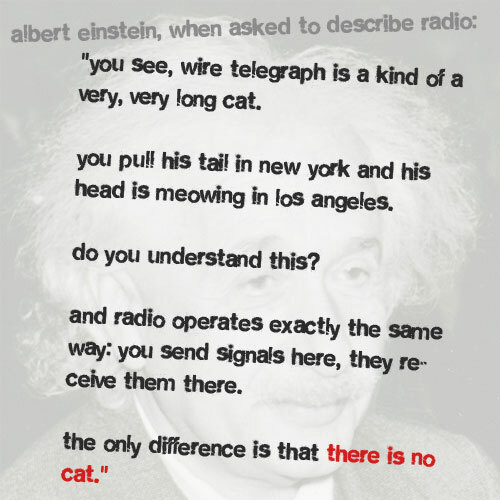 I first saw the quote above on a website called nocat.net years ago, back when I was at university, and email addresses were full of numbers. The site was dedicated to the idea of free wireless access provided by enthusiasts. The idea was that if you were of a technical nature, and had spare bandwidth, you could offer your wireless router to the nearby community, and by a system of maps, find out who else was offering wifi too. Sadly the site is quite old now, and hasn’t been updated for several years, but the idea is still a good one I think. 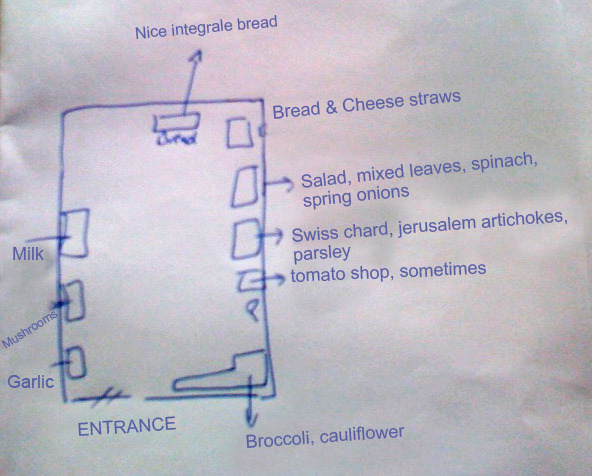 So, if any bright spark in Petite Boulangerie Jade, or Handmade Foods is listening – get your routers opened up! If I hear of any more coming online, I’ll be sure to add them to this post. Photo of Einstein from Wikipedia.